Preparing your body for wearing shorts, swimsuits and tank tops can be a big task. While healthy eating habits and exercise are some of the best ways to treat unwanted body fat, sometimes cellulite can stick around. Cellulite can be difficult to deal with on its own, but there are treatments and procedures that can help! Take your routine to a new level with some of our favorite ways to combat dimpled skin. The science: Cellulite is a stubborn condition that gives skin, usually on the thighs and buttocks, a dimpled appearance. This condition is caused by connective bands that weave through body fat and hold skin down, pushing fat pockets through them and giving skin a “dimpled” look. The why: Diet and lifestyle contribute to the appearance of cellulite, but the most likely cause is genetics. Though men can (and do) get cellulite, women are more prone due to genetic differences in the makeup of their skin. The first thing you’ll find on your search to reduce cellulite are hopeful stories of dry brushing and exfoliation. While regular exfoliation can be beneficial, it is not always enough to treat cellulite—because the issue lies beneath the surface of the skin. We consulted with Dr. Joel Schlessinger, board-certified dermatologist and CEO of LovelySkin, for his expertise on which cellulite treatments work the best. PHYTOMER Celluli Night Coach Intensive Cellulite Sleeping Mask provides an at-home alternative to an in-office procedure. This lightweight cream is applied before bed to energize skin and diminish the appearance of fat with marine taurine, natural caffeine and pink pepper oil. VelaShape is an in-office, non-invasive procedure that uses radiofrequency and light technology to reduce the size of fat chambers and fat cells. The treatment requires no downtime and can be used on the thighs and abdomen, the two most common areas of cellulite. 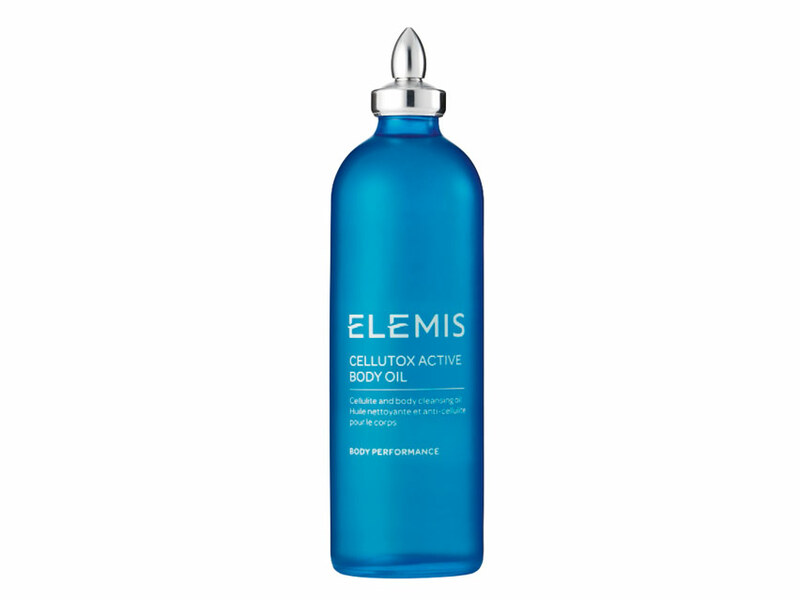 ELEMIS Cellutox Active Body Oil is another at-home treatment that helps diminish the buildup of toxins in skin. The unique oil uses seabuckthorn and sea fennel extract to detoxify, revitalize and re-energize skin for a smoother body contour. PelleFirm is another in-office procedure that uses a combination of heat and mechanical massage to rejuvenate dimpled skin. The tightening procedure boosts collagen production and reduces the lymphatic drainage that leads to cellulite, all with little to no downtime. Want to learn more about how to reduce cellulite? Check out more on our blog! Ashley is a content writer at LovelySkin and a self-declared beauty junkie. She enjoys reading and watching Harry Potter, spoiling her chihuahua (who is a proud Gryffindor), and trying out new products.